One unique feature of an industrial clean room is its ceiling. Like everything else in the clean room, the ceiling must be sanitary, resistant to moisture and – in some cases – even soundproof. Clean room ceilings are manufactured as square tiles that can be installed in a hanging ceiling. The tiles fit tightly together and cover the total surface area of the ceiling so that nothing can get out and so that no dust or moisture can enter the room from above. It’s not uncommon to find ceilings like these in healthcare facilities where medical procedures like surgery require a highly sanitary environment. For easy cleaning and resistance to corrosion, clean room ceiling tiles are often made of stainless steel. Regular sheet steel is also used because it is both durable and light. To maintain an air-tight environment, most clean room ceiling tiles have a gel or rubber gasket seal all of the way around their outer edge. Once the tile has been bolted tightly in place, it’s impossible for anything to penetrate this seal and compromise the clean room’s sterile environment. 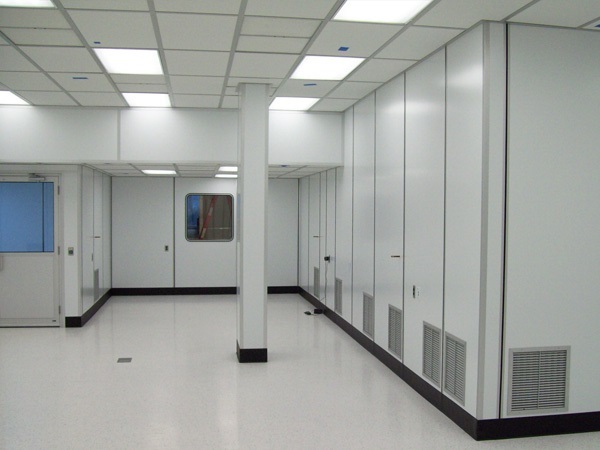 Class 1000 Modular Cleanroom Ceiling System – Clean Air Technology, Inc. 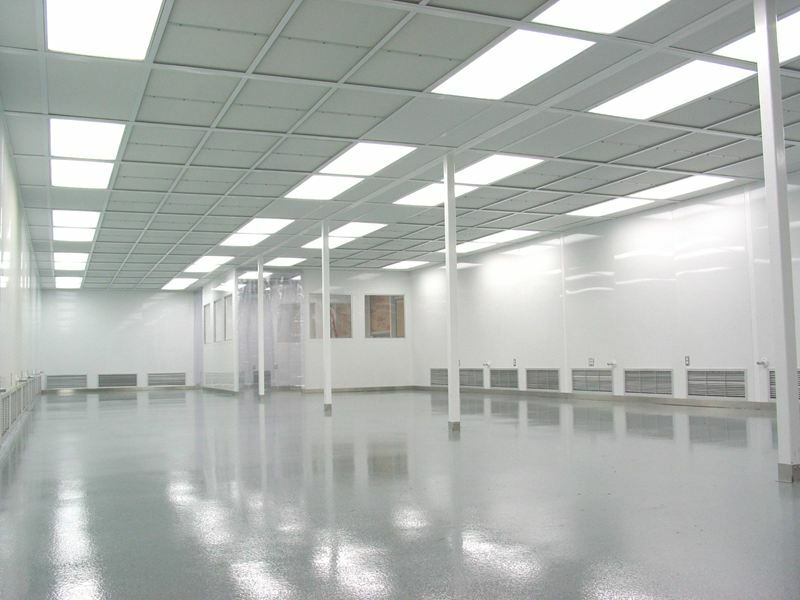 If the clean room for a particular application relies on overhead lighting or ventilation, these units are installed in conjunction with the ceiling tiles and made to fit precisely around them so that all areas of the ceiling are airtight. Sometimes the lights themselves are designed as a tile-shaped unit with the same surface area and seal as the regular tiles. To create a clean room ceiling, manufacturers start by forming a large sheet using the raw materials that the ceiling is made out of. They then treat this sheet and cut it down mechanically into tiles of a uniform size. Gaskets or other types of seals are added last, and the tiles are shipped out to suppliers or directly to the industrial clients who will be using them. During installation, all tiles must be tightly fitted to match the exact dimensions of the clean room and avoid compromising the air quality. Clean rooms are used for applications in dozens of different industries, including medical, aerospace, electronic, pharmaceutical and more. They can be designed in a wide range of shapes and sizes that depend on their intended use, which is why tiled ceilings are such a versatile option. A clean room is classified by the number and size of particles permitted per volume of air. In other words, a “class 100” clean room is drastically smaller in size than a “class 2000” clean room. These classifications have been put in place by the government to help enforce industry standards for all products treated in a clean room. Clean Room Ceilings In many different manufacturing processes, clean rooms are absolutely essential to prevent cross-contamination and eliminate the presence of dust or other debris. When painting or coating a product, dust or moisture in the air could compromise the quality of the finish and greatly reduce the durability of the product. A clean room is a tightly controlled environment where variables like temperature, air quality, and moisture level are all able to be precisely adjusted based on the needs of the application.